McGregor beats Diaz in a majority decision (48-47, 48-47, 47-47) after five rounds. McGregor leads with leg kicks in the first round, knocking down Diaz within 1m 30s. Diaz is knocked down in the beginning of the second round, and starts bleeding from above the eyes. Round three comprises grappling, with a strong finish from Diaz. A re-energized McGregor comes back in round four. In the final seconds of the final round Diaz gets McGregor on the ground. Surprise! Surprise, motherf-cker! The king is back! He took [leg kicks] better than I expected. He’s a hell of a fighter. A hell of a competitor. He brought out the best in me. But I stayed calm with him. I learned from last contest. This time I want to do it at 155 pounds, I came in at 170 with him as the bigger man and I overcame that adversity. Now this trilogy is on my terms, come back down to 155 and we’ll do it. I thought I had him. I’m too real for this fight. I’m ready to go again. 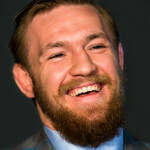 Good job Conor, but we going for three.